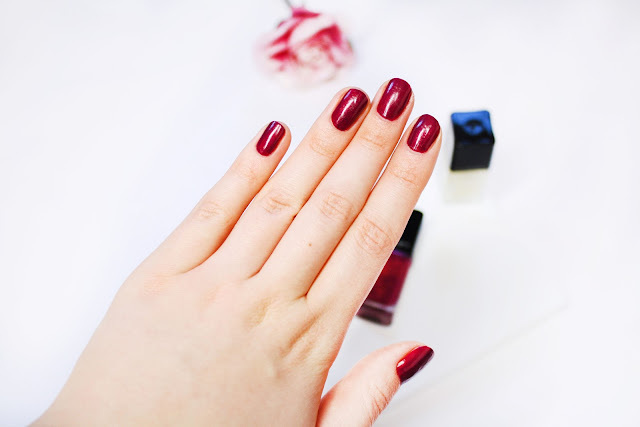 I love a good pampering session, and for me one step I never ignore is my nails! Through experimenting with new colours each season or trying to find replacements for my old favourites I've established quite a lengthy high street collection over the years! 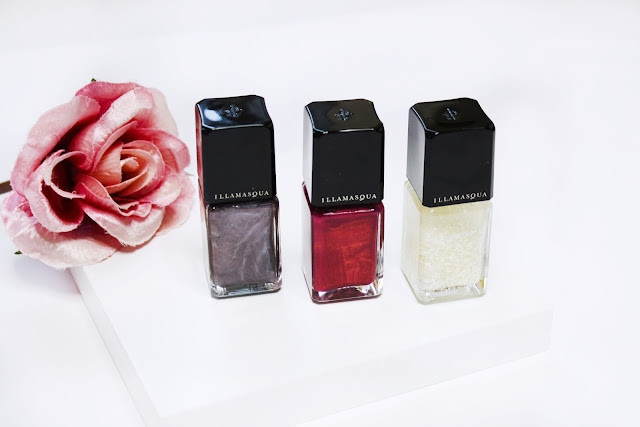 I decided to up the price tag and try out some slightly higher end nail varnishes from the beauty giant Illamasqua. 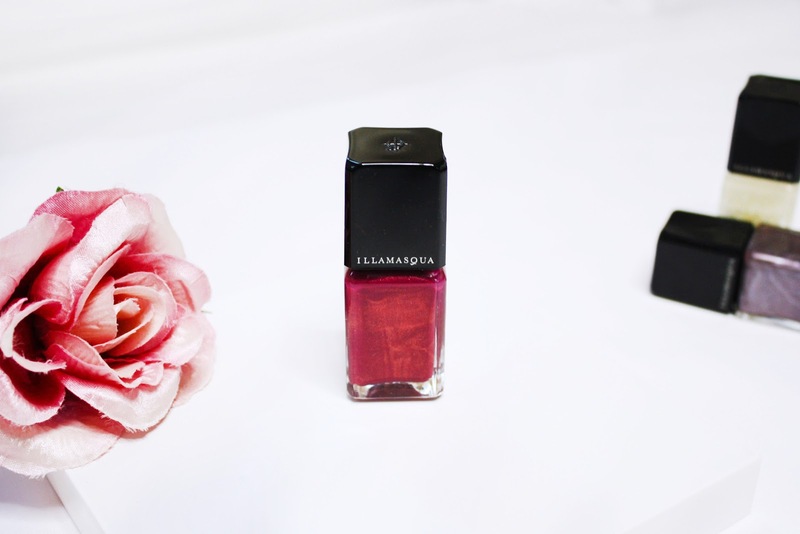 I've read articles in the past that claim all nail varnishes are exactly the same make up and all that changes is the shade they choose, the packaging it goes into and the price tag but I'm just not convinced! 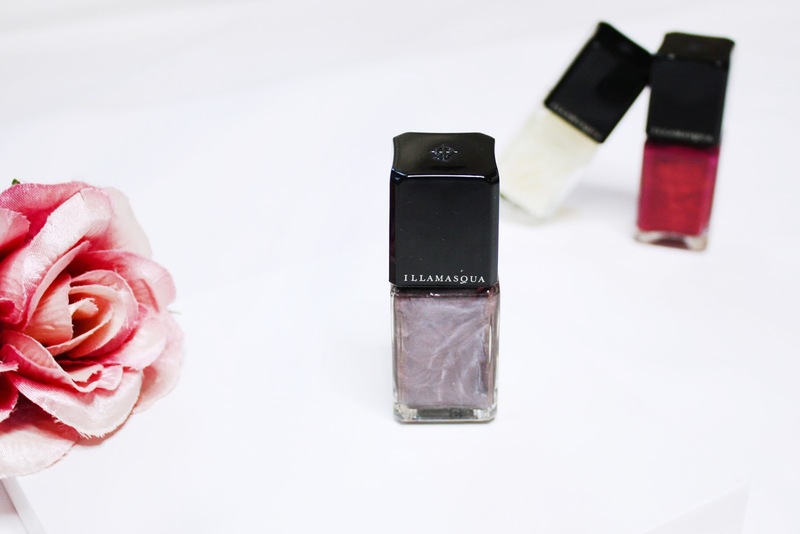 I've often bought what I thought were gorgeous metallic shades but after adding a top coat and waiting a day, the sheen that I was after seems to disappear, whereas with these I have that steely shine until the nail varnish remover gets brought out! The consistency is a perfect medium, it's not too sheer or too thick so in two layers you get an intense colour with a gorgeous shine! 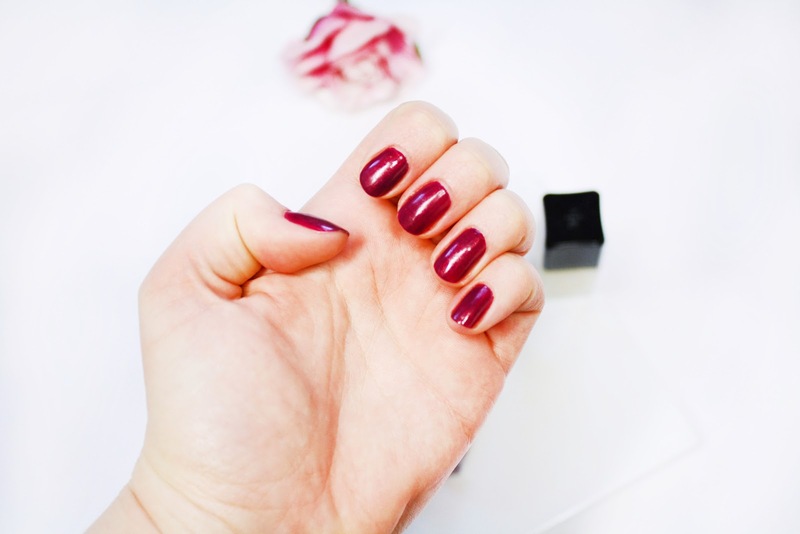 I always recommend a base coat and a top coat for true staying power! I can't have my nails painted for work but in between shift patterns I've kept these nail varnishes on for five days completely chip free and I'm looking forward to my holiday to see if they last even longer! One day soon I'm hoping to upgrade to a gel nail kit, but for now I'm sticking to my trusty bottles!